Meet the Health Experts and Athletes | Accessible Media Inc. This adrenaline-seeking married couple make a great team personally and professionally. Lowell, a registered psychologist and competitive para-athlete, is legally blind from a degenerative eye disease called retinitis pigmentosa and Julie, who works as a speech therapist, often acts as Lowell’s “eyes.” They are certified health and fitness coaches and recently competed together on The Amazing Race Canada. As health and fitness experts, Lowell and Julie share their message of overcoming obstacles, and what it takes to get through life’s challenges. 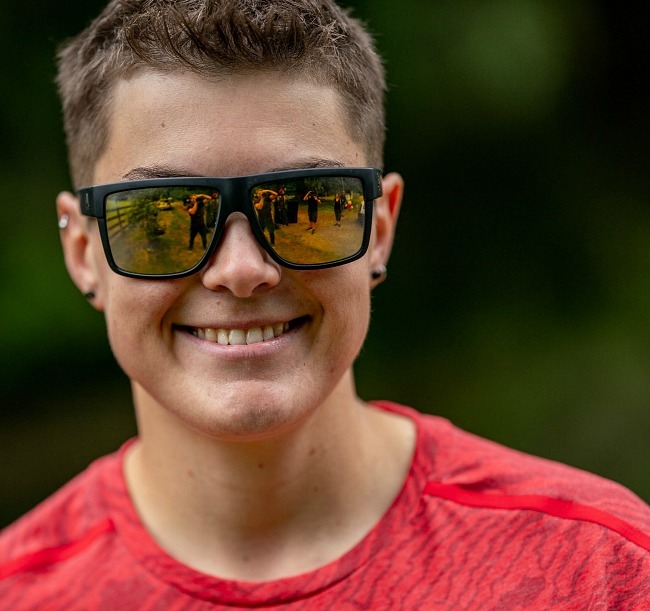 Lowell is a para-cyclist with Cycling Canada who earned four silver medals and a gold medal in 2018 and represented Canada in two World Cup races. He has a vision for 2020 - to compete in his first Paralympics, Tokyo’s summer games in 2020. As wellness coaches and fitness dynamos, Julie and Lowell understand the connection between mind, body and spirit, and guide the viewers on the participants’ personal journey. Lowell and Julie are also motivational speakers who share their message of how to turn obstacles into opportunities and to see our brokeness as beautiful. Once a chubby teenager with a deteriorating eye condition, Ness knows how daunting it can be to get healthy, and believes in helping people find their inner mojo. Now totally blind, Ness is an IBSA powerlifting world champion, and broke world records at the 2009, 2010, 2011 and 2012 World Championships and Games. In 2015, Ness collected silver in javelin and bronze in discus at the Parapan American Games in Toronto and is currently training for the 2020 Paralympic Games. Never one to be deterred by an obstacle, Ness is an accredited master trainer who can get anyone moving. Michelle Stilwell, 44, was an active 17-year-old when she fell off a friend’s back while piggyback riding, rendering her quadriplegic. During her years in rehab, Michelle discovered a passion for wheelchair basketball. 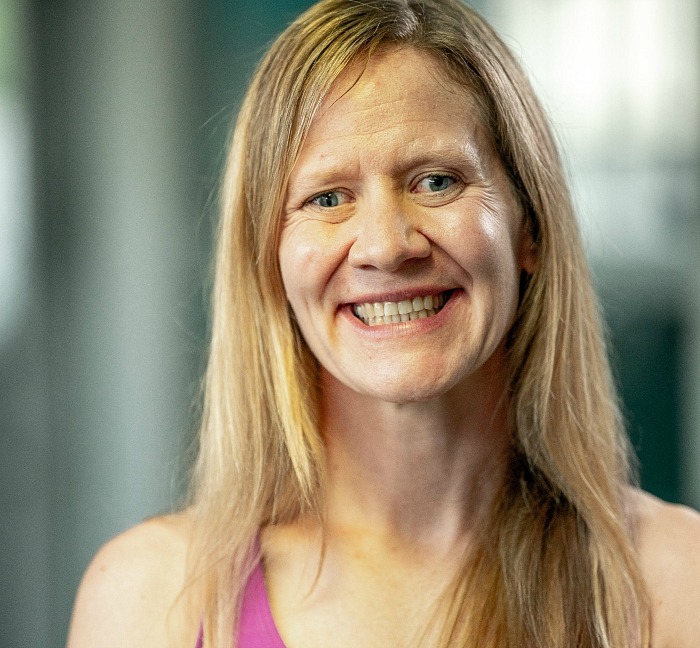 Although she was told she would never play at an elite level due to the severity of her condition, Michelle overturned those assumptions when she won gold in basketball with Team Canada at the 1998 World Championships and 2000 Paralympics. Michelle went on to achieve further success in wheelchair racing, winning gold at the 2008, 2012 and 2016 Paralympics. 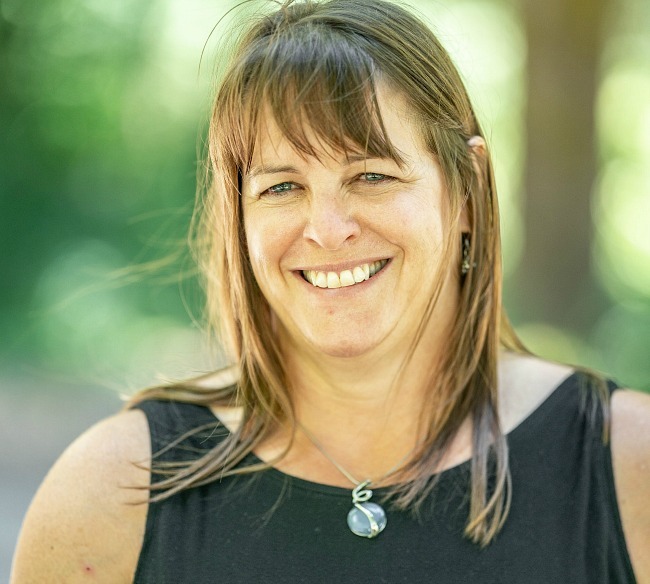 Michelle has served as British Columbia’s Minister for Social Development and Social Innovation, and continues to be the Member of Legislative Assembly for Parksville-Qualicum, B.C., where she lives with her husband and son. Five-time Paralympian David Willsie has never let anything get in the way of his passion for sport. 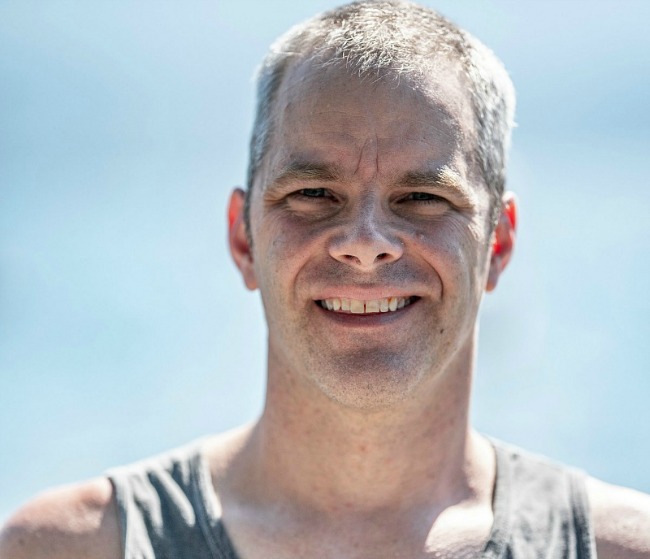 David, 50, became a quadriplegic after an injury during a recreational hockey game when he was 27, but his sporting career was only just beginning. 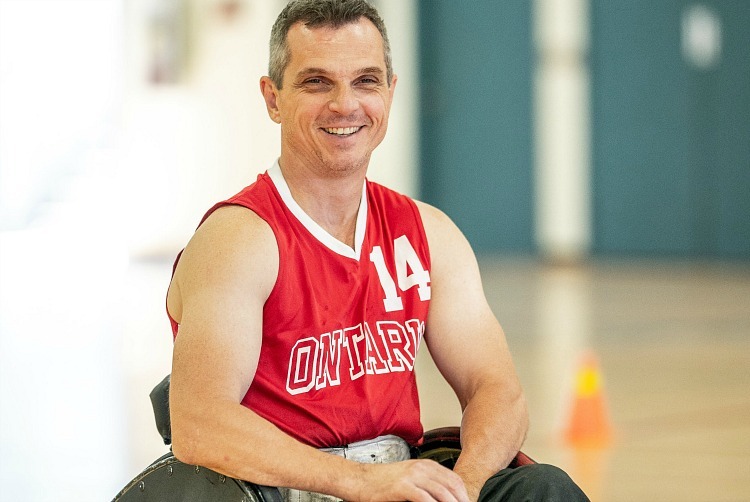 Three years later, David made the national wheelchair rugby team and has since become the public face for the brutally intense, high-impact sport. David was featured in the Academy Award-nominated film, Murderball, and has won four World Championship medals, three Paralympic Games medals and countless national championship titles. Recently retired from competition, David now coaches Team Canada. Athletic from an early age, Ina Forrest, 55, was only 21 when a drunk driver hit the car she was travelling on with her volleyball teammates, leaving her paraplegic. Ina met an enthusiastic wheelchair curler in her hometown, and quickly discovered her own passion for the game, rekindling her competitive spirit. Ina worked to win a place on the national team and has gone on to become one of the world’s most decorated wheelchair curlers. Crowned World Champion in 2009, 2011 and 2013, Ina also collected medals at the Paralympics in 2010 (gold), 2014 (gold) and 2018 (bronze), and was inducted into the Canadian Curling Hall of Fame in 2016. Canadian Para Hall of Famer and retired para-alpine skier, Karolina, 42, was born in Warsaw and moved to Canada when she was five years old. She took to skiing as a form of physical therapy for her cerebral palsy and over the course of her career won eight Paralympic medals, medalled in dozens of World Cup races gaining the title of Overall World Cup Champion, and is a World Champion in super-G. At the 2002 Winter Paralympics, Karolina earned four medals—the most ever for a Canadian para-alpine skier at a single Games. Now retired from high performance sports, Karolina tries to remain active through biking and yoga. She currently works for the Canadian Council for the Arts. Pamela LeJean, 34, was an avid swimmer, rugby and basketball player before a car accident at 17 badly injured her spinal cord. In rehab, her coach suggested para-athletics as a recovery tool, and Pamela hasn’t looked back since. She’s emerged as one of Canada’s best throwers, collecting gold in shot put and bronze in javelin at the 2015 Parapan American Games, and silver in shot put at the 2015 IPC World Championships. 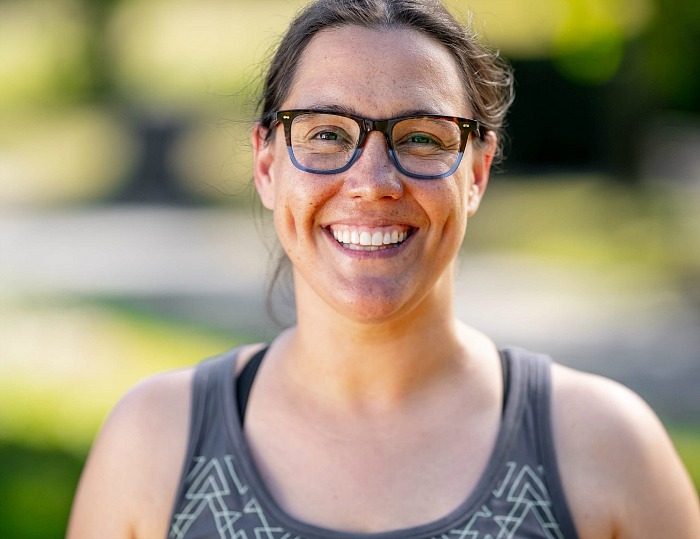 A Cape Breton native, Pamela now lives in Toronto, where she is training for the 2020 Paralympics, while also working in schools to advocate for physical literacy and mentoring other young women who have sustained traumatic injuries. Born with cataracts, Shawna Ryan, 44, has limited vision after six different surgeries, which were all performed before she was six years old. Shawna came to para-sports later in life at 28, and competed internationally in goalball before settling down to raise two children. Feeling that something was missing in her life, Shawna took up tandem cycling in 2016 and competed in the Rio Games. 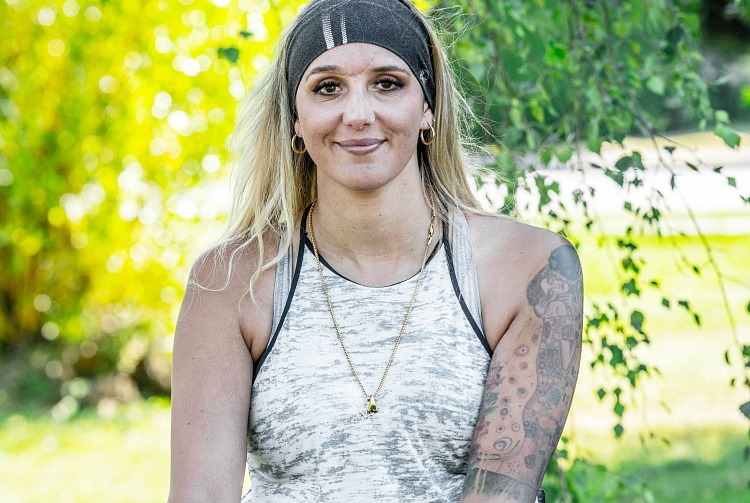 Shawna is currently training for her next Games and uses her balanced approach to staying healthy inside and out to inspire others who struggle to prioritize their own wellness.